California Chrome’s sire Lucky Pulpit, of course, is by the top-class sire Pulpit, who is a son of Belmont Stakes winner A.P. Indy, who is a son of Triple Crown winner Seattle Slew. Lucky Pulpit’s broodmare sire is Cozzene, one of the most versatile stallions of his time, who sired Breeders’ Cup Classic winner Alphabet Soup and Breeders’ Cup Turf winner Tikannen. Lucky Pulpit’s dam also traces to Prince Blessed, winner of the Hollywood Gold Cup and second in the 1 3/4-mile San Juan Capistrano. 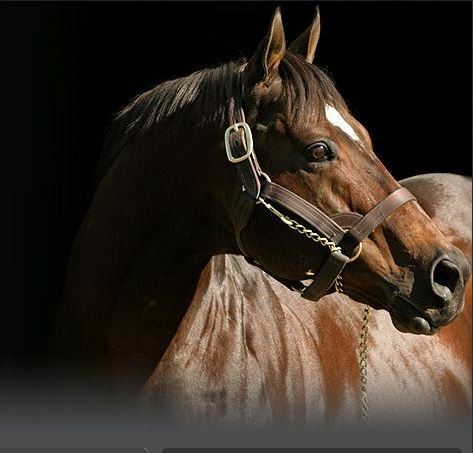 Prince Blessed is the sire of Ole Bob Bowers, who sired the great John Henry. California Chrome’s broodmare sire, Not For Love, is a full-brother to Rhythm, who won the Travers Stakes for Ogden Phipps and was the champion 2-year-old, winning the Breeders’ Cup Juvenile. California Chrome’s dam, Love the Chase, is inbred (Rasmussen Factor) 3x3 to the great Hall of Famer Numbered Account, a daughter of Hall of Famer and great classic and stamina influence Buckpasser. Also in California Chrome’s female family is Sir Ivor, winner of the English Derby and Washington D.C. International; and the powerful stamina influence Vaguely Noble, who won the Prix de l’Arc de Triomphe by three lengths. So, there is an abundance of classic and stamina influences on both sides of California Chrome’s pedigree. Combined with his tactical speed, acceleration, and ability to settle behind any kind of pace, it makes him a perfect Belmont Stakes type, especially with his ability to work out a perfect trip for himself. Awesome. Down to earth. Love their horse soo much they have to go visit the grandparent. I know, don't you just love that, haha. I'm Mr. Blue is running June 21st in a 5 1/2 furlong maiden claiming race for 2 year olds at Delaware Park. He will be ridden by Cecily Evans. He is trained by Gary Capuano and owned by Rose Petal Stable LLC. Is he by Not For Love? Yes he is that's why i posted his race info here. Broad Lover is running June 28th in a 2 year old maiden claiming race going 4 1/2 furlongs at Monmouth Park. He will be ridden by Samuel Camacho Jr. He is trained by Timothy Kelly and owned by Prima Ventures LLC. Ruby's Love is running July 11th in a maiden special weight for 2 year olds going 6 furlongs on turf at Belmont. He will be ridden by Jose Lezcano. he is trained by James Lawrence 11 and owned by Matthew Schera. Avarice is running July 12th in the Fort Delaware Stakes. His jockey is unknown. He is trained by John Robb and owned by John Robb and Herman Braude. Broad Lover is running July 18th in a maiden special weight for 2 year olds going 5 1/2 furlongs at Monmouth Park. He will be ridden by Samuel Camacho Jr. He is trained by Timothy Kelly and owned by Prima Ventures LLC. Can't Explain is running July 19th in a allowance race for 3 year olds and upward fillies and mares going one mile on turf at Saratoga. She will be ridden by Junior Alvarado. She is trained by John Kimmel and owned by Whisper Hill Farm. Spartianos is running July 21st in a maiden special weight for 2 year olds going 4 1/2 furlongs at Parx Racing. He will be ridden by Jose Caraballo. He is trained by Michael Pino and owned by Nick Sanna Stables LLC. Classy Coco is running July 26th in the Power by Far Handicap. She will be ridden by Frankie Pennington. She is trained by Bernard Houghton and owned by Michael Cox. Avarice is running August 2nd in the Senator Robert C. Byrd Memorial Stakes. She will be ridden by Corey Nakatani. She is trained by John Robb and owned by Hidden Hill Farm. 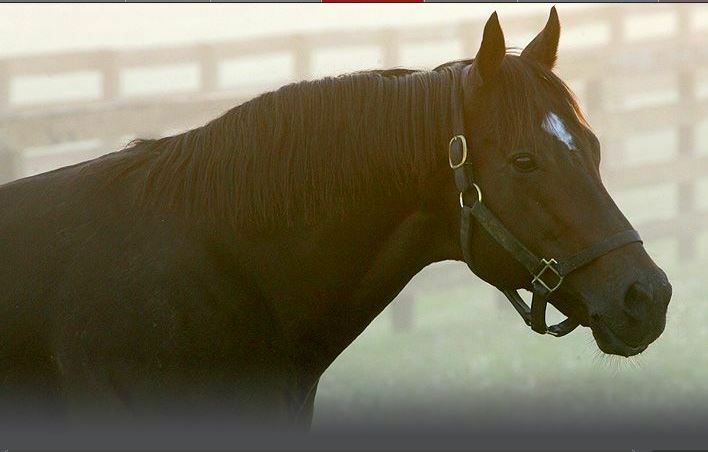 Beautiful photos and story of Chrome's maternal grandsire Not For Love. Liked reading this about NFL: "Speed," Torres said with smile when asked what Not For Love transmits to his sons and daughters. "But maybe personality, too. He's not mean, he's easy to do things with and that matters also." Golden Years is running January 29th in the Frank Whiteley Jr. Stakes. He will be ridden by Victor Carrasco. He is trained by Rodney Jenkins and owned by Hillwood Stable LLC. Golden Years is running February 16th in the Miracle Wood Stakes. He will be ridden by Victor Carrasco. he is trained by Rodney \Jenkins and owned by Hillwood Stable LLC. Loverbil is running March 7th in the Gulfstream Park Handicap. He will be ridden by Carlos Marquez Jr. He is trained by Jorge Navarro and owned by Richard Ravin. If Not For Her is running March 21st in the Conniver Stakes. She will be ridden by Julien Pimentel. She is trained by Michael Trombetta and owned by Country Life Farm. He has been retired from breeding from Country Life Farm.Any Mr. P sons still breeding stallions? Is not FuPeg a son of Mr P? Loves Last Chance is running April 18th in the Henry S. Clark Stakes. He will be ridden by Julian Pimentel. He is trained by Graham Motion and owned by Richard Golden.